Content cut from Dark Souls III has surfaced in a new video that shows how players would’ve been able to craft bonfires anywhere they like through the use of a cult system. YouTuber Lance McDonald shared the video above that talked about some of the content removed from Dark Souls III before the game’s release. Playing an alpha version of the game, McDonald was able to restore some of the content that’d mostly been gutted at that point, so while some of the animations look rough, you still get some insight into what FromSoftware once had planned. A cult mechanic was the core component of the on-the-go bonfire system that never made it into the game, McDonald’s video explained. By finding and activating a certain parameter on enemies, McDonald was able to make it so that enemies died with a “cult death” when slain. This led to them falling to the ground in a burst of light not unlike the animation seen when a player gets an Estus charge from another player who used one in the same location but in a different world. Once those enemies fall to the ground, a new command prompt appears above their heads that allows players to drag them around. Dragging enemies with their ragdoll physics may look like fun for a while, but it’s hard to imagine what purpose it’d have in Dark Souls III since there’s no need to hide or move bodies. As it turns out, the cult mechanic also would’ve allowed players to create portable bonfires, so that’s where the body-dragging feature comes into play. By using the in-game debug menu, McDonald could join a “cult,” a feature with limited info known about it but one that doesn’t seem too unlike the covenant feature in the Dark Souls games. After joining a cult, a new command prompt is available when standing over an enemy who died a cult death. Selecting the “ceremony” prompt causes players to slam their hand down on the body and pull out a weapon that McDonald said is a placeholder for the coiled sword that sits in the middle of all bonfires. By looking at the animation in the in-engine model viewer, McDonald was able to see how the animation should’ve looked. 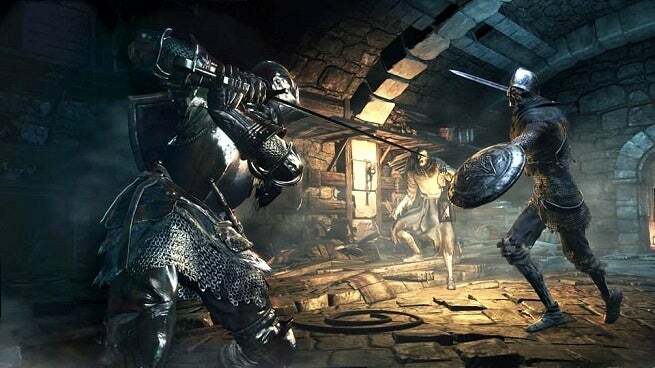 The process showed the coiled sword being removed from the body before being placed into a pile of ashes to resemble any normal bonfire, thus giving Dark Souls III players the ability to make bonfires anywhere they like as long as they had a “cult death” body. McDonald has similar Dark Souls III content on his YouTube page which can be seen here.